The 335linear, the latest incarnation of Schütte's tried-and-tested series of 5-axis grinding machines, offers a huge performance range with the smallest of footprints. 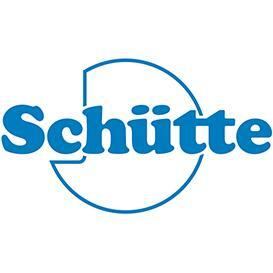 Tracing its roots back to a business founded by Alfred Heinrich Schütte in 1880, the Cologne-based Schütte Group is an international manufacturer of machine tools that is known, first and foremost, for its multi-spindle automatics and 5-axis CNC grinding machines. One of the latest developments to emerge from the Group is the newly unveiled 335linear, the next generation in its tried-and-tested series of 5-axis grinding machines. While systematically expanding this series, Schütte has made significant improvements, particularly when it comes to initial accuracy. This is a development with noticeable benefits for the user, as it has further reduced the time and effort that go into setting up a new product with sometimes extreme tolerance requirements. Now more than ever, the compact machines of the 335linear series set themselves apart due to their top precision, tremendous flexibility and long-term value stability. Thanks to a perfected modular system of additional options, the 335linear can be used to cover the complete spectrum of grinding applications, from twist drills and knee implants to microtools and hobs.